​Newcastle United midfielder Jonjo Shelvey is said to have asked manager Rafa Benitez why he is not a regular part of the starting lineup, amid rumours the Spaniard is keen to part ways with the former Swansea star this summer. 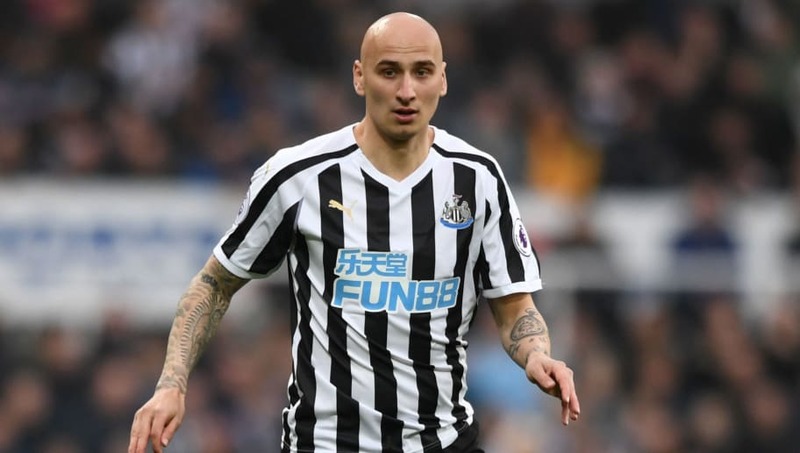 According to The Sun (via the ​Newcastle Chronicle), Shelvey went to Benitez's office recently to question why he is not starting games, but was told by the Spaniard that he is not fit enough to feature so heavily. Shelvey is then said to have asked how Benitez can expect him to be match-fit if he refuses to play him, and the uncomfortable exchange saw Shelvey remain an unused substitute in Friday's 1-0 win over ​Leicester City. Ki Sung-Yeung has established himself for ​Newcastle this season, whilst Sean Longstaff and Isaac Hayden have also impressed greatly when given a chance in the first team, prompting rumours that the Magpies could look to part ways with Shelvey. He is under contract at St James' Park until the summer of 2021, but The Sun claim Benitez is eager to sell Shelvey at the end of the season, with ​West Ham thought to be preparing a bid of around £20m for the Englishman. Benitez has previously ​spoken of his concerns over Shelvey's fitness, but did admit that the only way he will recover his fitness is by playing games. However, he was quick to point out that other players are playing too well to be dropped, challenging Shelvey to prove why he deserves a place in the team.